My Best Friend's Dad Is Dying; What Do I Say? What Kind of Advice Can I Give My Friend in a Bad Marriage? Listen to your friend, and she may come up with her own solutions. 4 My Best Friend's Dad Is Dying; What Do I Say? It can be heartbreaking to listen to a friend spill her heart about her unhappy marriage. You want to help, but giving advice in this situation can be tricky. You don't want her to feel offended or controlled by your efforts. Rather than saying the first thing that comes to mind, consider your responses to her complaints carefully before giving advice. When your friend tells you how inconsiderate his wife is to expect him to work overtime to pay for her often frivolous expenditures, resist the urge to call her an inconsiderate shrew. Unpleasant comments of this nature can strain your friendship, according to psychologist Irene Levine, writing for her website, "The Friendship Blog." Your friend probably doesn't feel this way about his wife all the time, and when he's feeling well-disposed toward the relationship, he won't think kindly of the friend who thinks his wife is a ditsy shopaholic. Instead, preserve your friendship by empathizing. For example, you may say, "Have you considered cutting back on your hours and closing your credit card accounts?" to help him identify potential solutions to his problem. 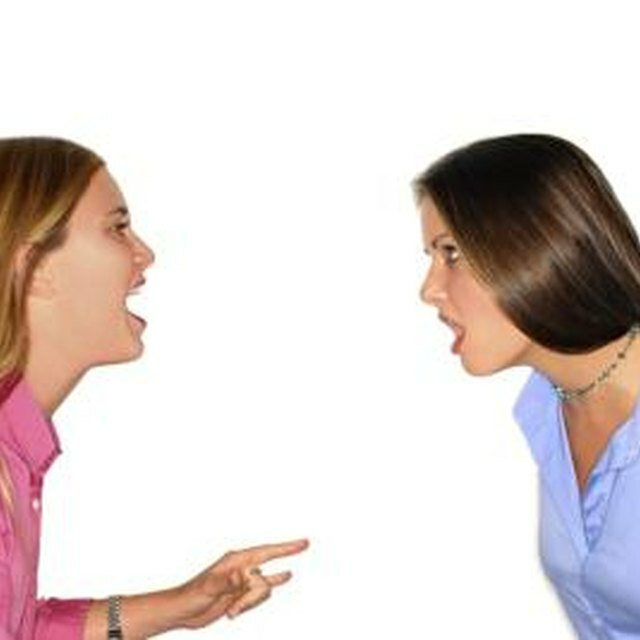 Downplaying your friend's marital problems can result in your friend feeling frustrated and unheard. Instead of saying, "Even though Evan lost money in his investments, you both are still pretty well off," it might be more helpful to say something like, "You sound frustrated with Evan's bad financial choices. Since this is the third time he's invested money unwisely, perhaps you should consider insisting that the two of you see a financial counselor." This kind of statement validates your friend's feelings and clarifies that you understand the problem. Not many people welcome unsolicited advice. If your friend is miserable but doesn't appear to be ready to address her marital problems, simply lend an ear rather than jumping into the fray by handing her a divorce lawyer's phone number. Saying, "I know it gets you down when Marcy refuses to entertain the idea of having more children," lets your friend feel listened to and supported. Remember that you are not responsible for solving your friend's martial woes. Give information to a person who's struggling with a problem, advises cognitive scientist Art Markman, Ph.D. in "Psychology Today" in 2010. Rather than telling your friend what she should or shouldn't do when her husband continues to have affairs, let her know that she is in danger of picking up a sexually transmitted disease. She can then take the information and act on it as she sees fit. Saying something factual empowers her to make and follow through on her own decision. Psychology Today: What Is the Best Way to Give Advice? How Can I Make a Postal Complaint?